Late Thursday night update: Our first look at the late computer guidance indicates no backing off some of the earlier numbers. With slightly better agreement and higher confidence I've increased the earlier forecast (released at 3:30 p.m.) from 2"-4" to 3"-6". Earlier Update: When there's snow in the forecast everyone wants to know what will happen in their town. They want a deterministic forecast. For example, the snow begins at 7 a.m. and Hartford will pick up 3.8" of accumulation. Unfortunately meteorology doesn't work like that. We really work in probability and try to determine which outcomes are most likely and which are least likely. That said, not all events are created equal. Some storms are easy to forecast while others are more challenging. Some times we're very confident in what's going to happen and other times we haven't a clue. It's really important for me to be as transparent as possible and tell people what's most likely, what's possible, and what's least likely. I'll also tell you when I have no freaking idea what's going to happen. GFS Ensemble forecast from early Thursday morning showing most of the 20 members showing a miss but a handful showing more than that. One way to determine how certain or uncertain a forecast is by looking at computer model ensembles. We basically take one computer model and run it 20 different times with a few little tweaks. Sometimes they're tightly clustered around one solution (high confidence) or all over the place (low confidence). Last night's GEFS had 6 members showing more than 1" of snow with 14 of them had less than 1". The most likely scenario (based on this model) would be an unimpressive event BUT there were some pesky outliers that would indicate a plowable snow. In fact more than 25% of them were showing something of note. As luck would have it those outlier solutions appear to be the ones that will be correct. Starting with the morning computer guidance that comes out between 4 a.m. and 6 a.m. everything started trending west. And that west trend hasn't stopped. 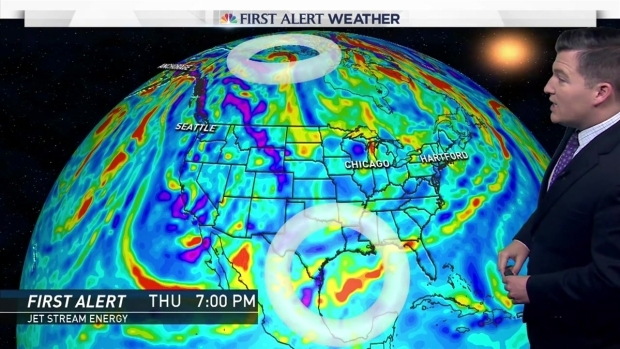 One possible reason for this is that there are two pieces of energy that will come together for this storm. One over the Gulf of Mexico and one that was over the Arctic Ocean - not far from the North Pole. The latter disturbance is in a "data desert" - there aren't many weather observations up there! Now that the disturbance is over Canada it is being sampled more accurately and that may be the reason why we're seeing a jog west in our computer guidance. If only polar bears could launch weather balloons. 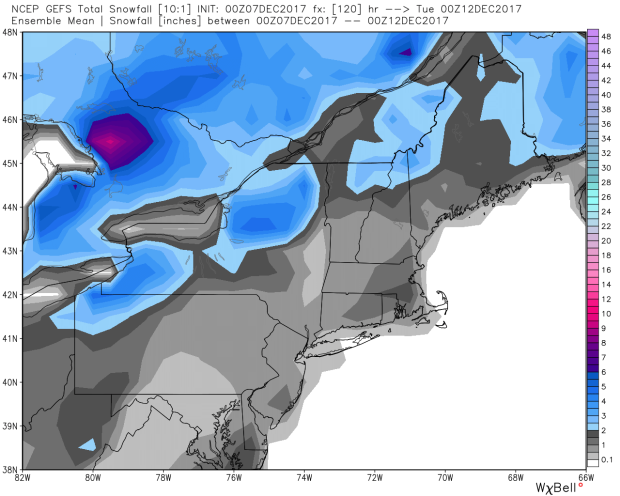 Take a look at the jump west in the MEAN snowfall from the GFS ensembles. 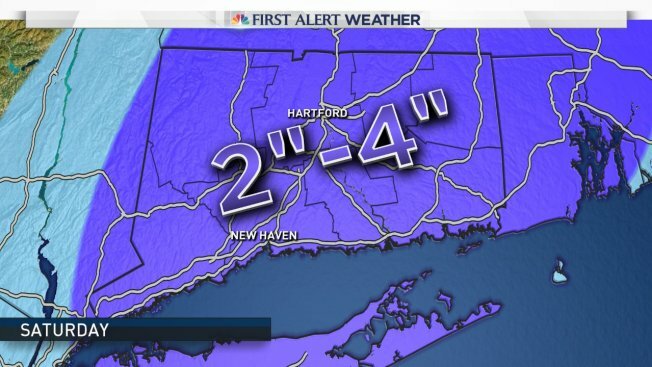 Last night the mean of the 20 members was about 1" for Hartford and now it's over 6". There has been a clear jump west toward those outlier solutions. This is why unlike some local meteorologists we never wrote this storm off. Some were flopping around giving an "all clear" but we didn't take the bait with those pesky outlier solutions floating around. Early Thursday morning GEFS mean snowfall. Thursday late afternoon GEFS mean snowfall. So what to expect going forward? The first thing we need to figure out is if this west trend is going to stop. Right now I have 2"-4" of snow statewide but that number may be conservative! If the storm continues pushing to the west we will have to increase our forecast. Once we get the general setup down with how far west the best lift and moisture will make it we can start to get cute with pinning down locations of heaviest snowfall in the state. 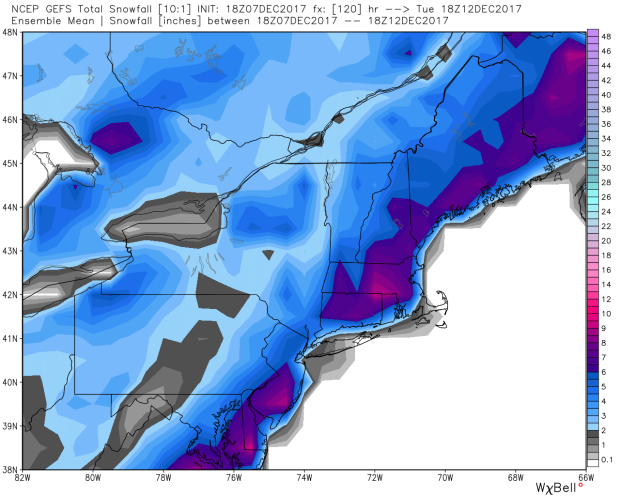 Where will narrow bands of heavier lift and snow setup? 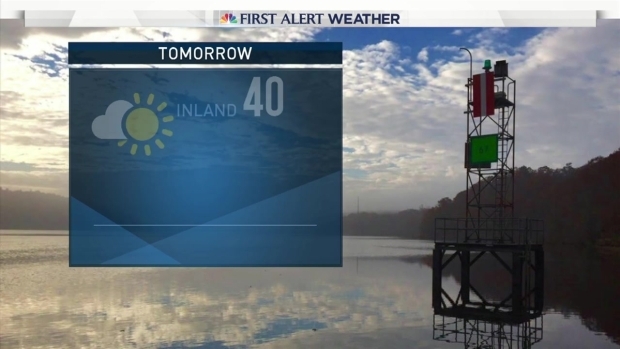 Will some parts of the state see "fluffier" snow due to better growth of ice crystals in the cloud? By tomorrow we will start doing that.